Adopt a Duck for EVLT! Mark your calendars for our 2019 Summer Breakfast Series! We are bringing three fantastic topics to Estes Park with good food and good company – see you there! The 31st annual Estes Park Duck Race Festival takes place on May 4th. Support #41 EV Land Trust and adopt a duck in our honor! 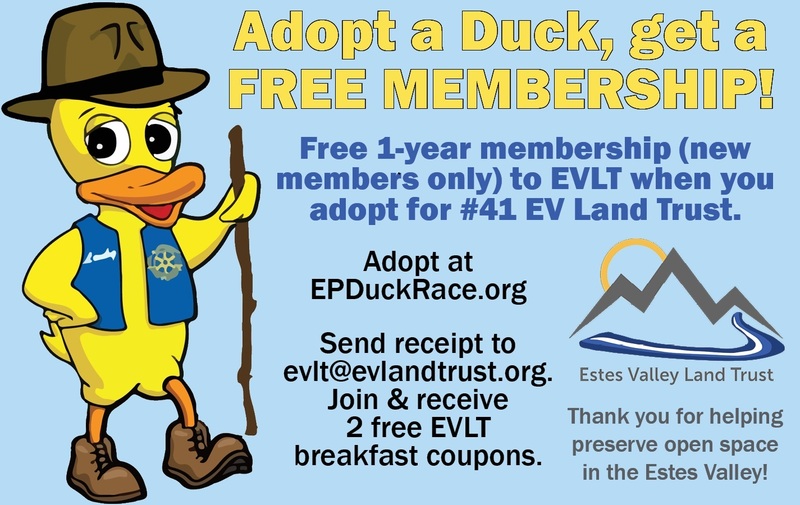 If you are not already a member, you can adopt a duck for #41 EV Land Trust and get a free membership. We hope to see you at the Duck Race! 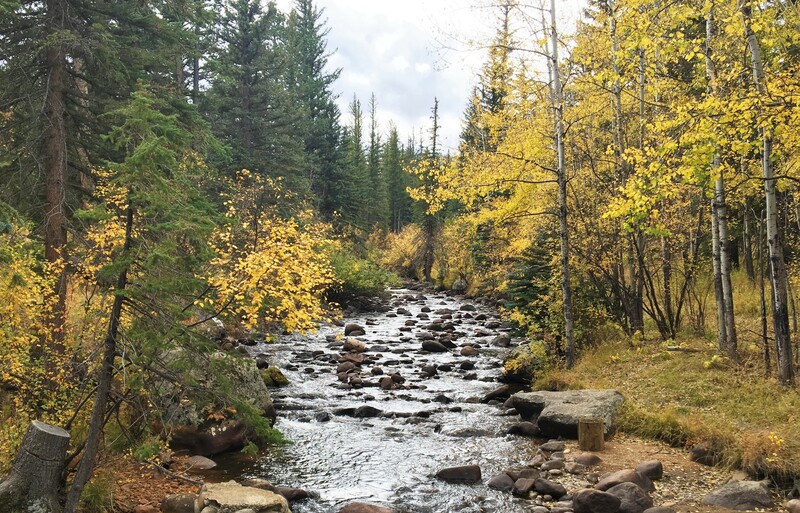 The Estes Valley Land Trust and the YMCA of the Rockies partnered to protect over 127 acres of the YMCA’s Estes Park Center through a new conservation easement! This land borders Rocky Mountain National Park and preserves the habitat along four streams, including the Big Thompson. It is also home to open space and trails that connect to the national park. This conservation easement ensures that this land will forever stay in it’s natural state. Continue reading about this special place! Photo: Glacier Creek forms the boundary between the YMCA of the Rockies Conservation Easement and Rocky Mountain National Park. The Estes Valley Land Trust released a new video that reminds us of why we live here and how this valley could change without support for more land conservation. From 14ers to wetlands, forests to meadows, we have it all in Estes Park. How do you highlight our beautiful landscape, charismatic wildlife, plentiful outdoor recreation opportunities and incredible people in less than 4 minutes? We had so much fun making this video and want to thank everyone involved. We hope the video inspires you to join the Estes Valley Land Trust and help preserve one of the most spectacular places on earth. You can become a member today by joining more than 400 people that support the Estes Valley Land Trust each year. The video was made possible through a grant provided by the Land Trust Alliance, an organization that serves nearly 1,000 land trusts throughout the nation. 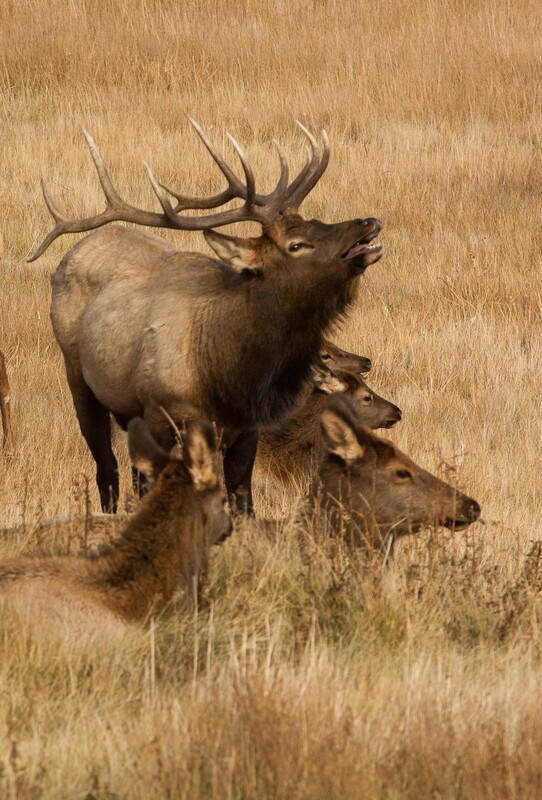 Our mission is to preserve and protect open space, valleys, wetlands, streams, ranch lands, and wildlife habitat in the Estes Valley and surrounding area. Sign up for EVLT E-News! For generations, people have recognized that there is something special in the Estes Valley—something not found elsewhere, something intimately linked to the pristine beauty of the area’s natural landscapes. Our role is to be good stewards and custodians of the land. 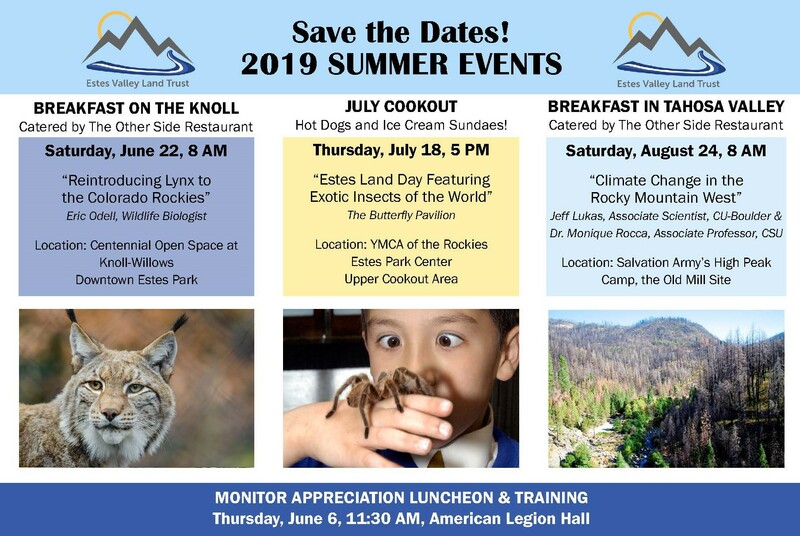 Help EVLT uphold our promise to protect, preserve, honor and serve nature in our little corner of the Rocky Mountains. By working together we can share tomorrow.